Creating a positive brand experience is critical for any company looking to be successful. 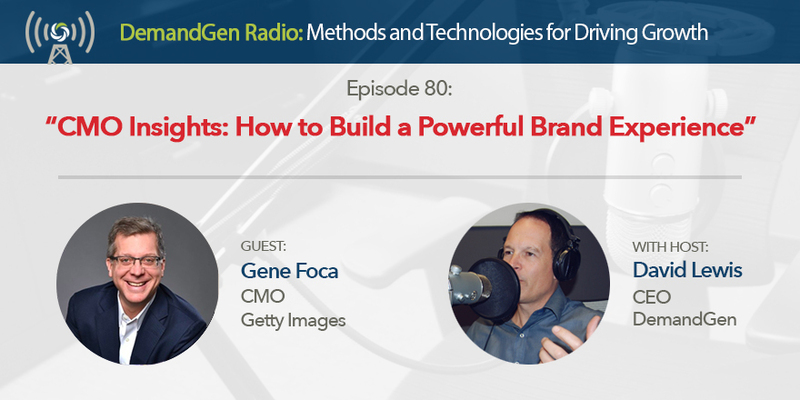 Gene Foca, CMO of Getty Images, joins the show to talk about the power of putting the customer first. Listen as we dive deep into what it takes to deliver a remarkable customer experience and discuss who is responsible for building and maintaining those brand initiatives. Gene also shares some of the organizational changes he’s made at Getty since becoming the company’s CMO, we highlight a few companies that we think are getting brand experience right, and you’ll even learn what playing soccer and being a CMO have in common.